Here's a few travelling tips for you to ensure you and your family enjoy the beautiful scenery and make some memorable moments. Road hazards such as livestock (think city traffic jam), long distances on flat terrain can take some getting used to. This goes without saying, but OBEY the speed limit – it’s there for a reason. Plan your trip and make sure you have all the necessary up to date maps to guide you on your trip – it's always a good idea to have a plan “A” and “B”, especially if you're planning to go off the beaten track. Road conditions can frequently change...especially during the Aussie summer (these months often have the most rainfall). Heavy rain can occur during summer, causing minor flooding and potentially cutting off some towns. It's always a good idea to share your itinerary with friends and family so they can keep track of where you should be and check in with them when you arrive at each destination point. While travelling on the major highways, fuel stops are rarely more than 200km apart, so it may not be necessary to carry spare fuel...but if you happen to come across a “no fuel” sign...that's exactly what it means. Ensure you always travel with extra water, first aid kit, spares for tyres (with the correct pressure), radiator hoses, fan belts and not to mention a good tool kit! The outback summers are hot, but far less humid than you would find along the coastline with the most temperate weather occurring between April and October. But no matter what season, always pack a wide brimmed hat and sunscreen. Check the mobile coverage areas while planning your trip. Both Telstra and Optus networks are covered in Longreach, Mount Isa, Charleville and Birdsville(Telstra Next G network will still be available within a 20km radius of most other towns), but you will find limited coverage in the far South West corner of Queensland. If you're planning that Outback adventure, then perhaps invest in a satellite phone. Always take care when passing and overtaking roadtrains, heavy vehicles and caravans. If you need to overtake them ensure you have a clear line of sight and plenty of room (big trucks tend to move a little from side to side as you pass). If a roadtrain is preparing to overtake you, move as far left as possible and if necessary pull over to the side of the road to allow it to pass safely. In wet conditions the road verges tend to be soft/slippery, so when pulling off to the left always keep your right wheels on the bitumen and keep moving slowing to avoid bogging. When driving in the Outback be mindful you are sharing the space with our stock, kangaroo and emu friends. Kangaroos tend to be more active during sunrise and sunset (so stay vigilant). Many roads cross station properties, therefore are gated. The rule of the land is to leave gates in the same way you find them... so if a gate is closed when you get there, please close it after you drive through and vice versa if it was open. Simple! Always contact the local Visitor Information Centre if you're planning to camp, this way you can get all the information on locations, permits and laws regarding campfires. Open fires should never be lit on private property or national parks. Dispose of rubbish properly – keep everything beautiful for future visitors and of course our furry friends. 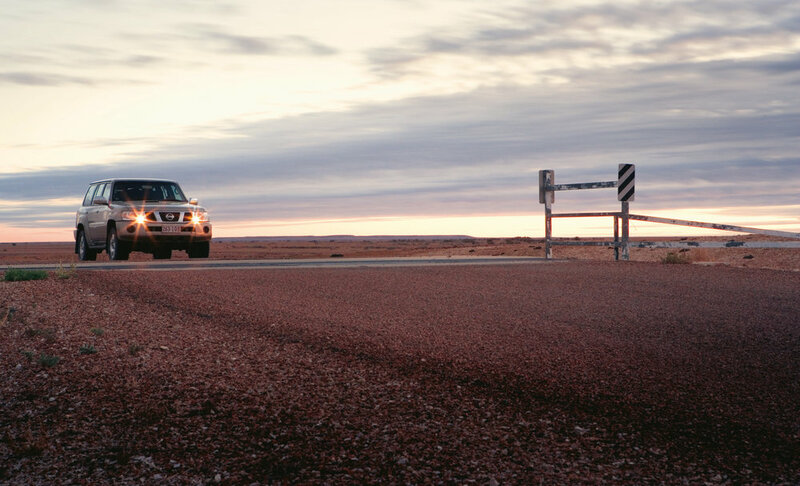 Now you're armed with a few necessary tips, get busy planning your next Outback Adventure and have yourself some fun. Thanks to Outback Queensland for helping out with these tips!